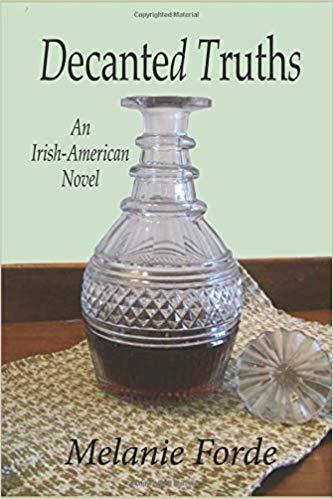 For Irish immigrant families like the Harrigans and Gavagans, struggle has been the name of the game since they arrived in Boston in the nineteenth century. For twice-orphaned Leah Gavagan, who comes of age in the Depression, the struggle is compounded by bizarre visions that disrupt her daily life -- and sometimes come true. She has difficulty fitting in with her surroundings: whether the lace-curtain Dorchester apartment overseen by her judgmental Aunt Margaret or the wild Manomet bluff shared with her no-nonsense Aunt Theo and brain-damaged Uncle Liam. A death in the family disrupts the tepid life path chosen for Leah and sets her on a journey of discovery. That journey goes back to the misadventures shaping the earlier generation, eager to prove its hard-won American credentials in the Alaskan gold rush, the Spanish-American War, and The Great War. 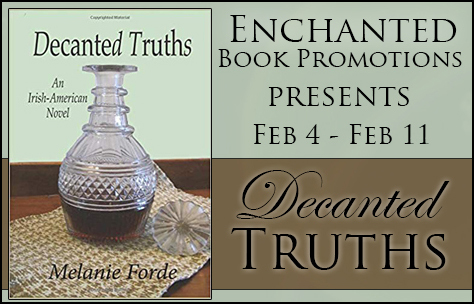 She learns of the secrets that have bound Theo and Margaret together. Ultimately, Leah learns she is not who she thought she was. 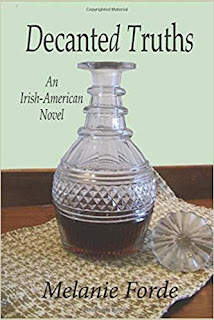 Her new truth both blinds and dazzles her, much like the Waterford decanter at the centre of her oldest dreams -- an artefact linking three Irish-American families stumbling after the American Dream. This was quite an unusual book. To begin with, it isn't really completely obvious who the main subject of the story is and where it is going to go. We are introduced to Leah fairly early on and while in many ways this is her story, it isn't only her story. By learning more about her family and where she comes from, we learn more about her. 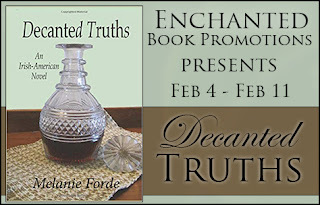 The book follows the course of the lives of a number of different members of a family and the other families around them that are connected through marriage and just from living nearby. To begin with, the various stories do not seem to have that much to do with one another, but as the book progresses, we find out that they all help to tell the story of Leah. About who she really is and where she comes from. A lot of this book revolves around the idea of where someone comes from. Much is made of the fact that many of the characters have Irish ancestors. I suppose this is a story about where you come from, even if you personally don't come from there, shapes who you are and how you act. In many ways, that makes it a very American story, as they do seem to be far more into the idea of putting labels on people than much of the rest of the world. This was a really interesting story and once I'd got into it I couldn't help but read and see what would happen next. The only slight issue with it is that it covers a lot of ground and as a result, much of the story is told rather than shown. In the early chapters, this made it quite heavy going and I didn't find myself dragged along by the story, which is what I personally like to happen when I read. It was still a very interesting plot and that shone through as the book progressed. Overall, this is an enjoyable and engaging read. If family sagas are your thing, then you'll probably love it.